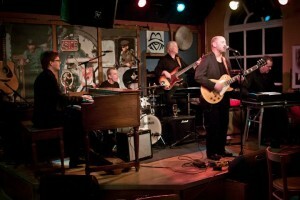 Thomas Arnesen’s own band, offering a variety of blues standards and original songs. The approach to the blues can be described as modern, not adhering to a certain style or time period. Having two keyboard players in the band gives the music a rich sound and allows for more variation of arrangements. There’s also an ongoing collaboration with singer Claes Janson doing a BB King tribute.